The month of July is already coming to an end, but the last weekend of the month has a lot to offer when it comes to street festivals, medieval feasts, and re-enactments. 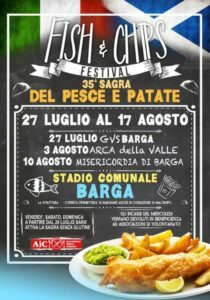 In Livorno, you’ll find music and entertainment at the summer street festival, Effetto Venezia, while in Barga you can enjoy a plate of Fish & Chips. Four festivals this week take you back in time. The largest in Arezzo (Arezzo Back in Time) is themed around the Roman times, Middle-Ages and Renaissance. 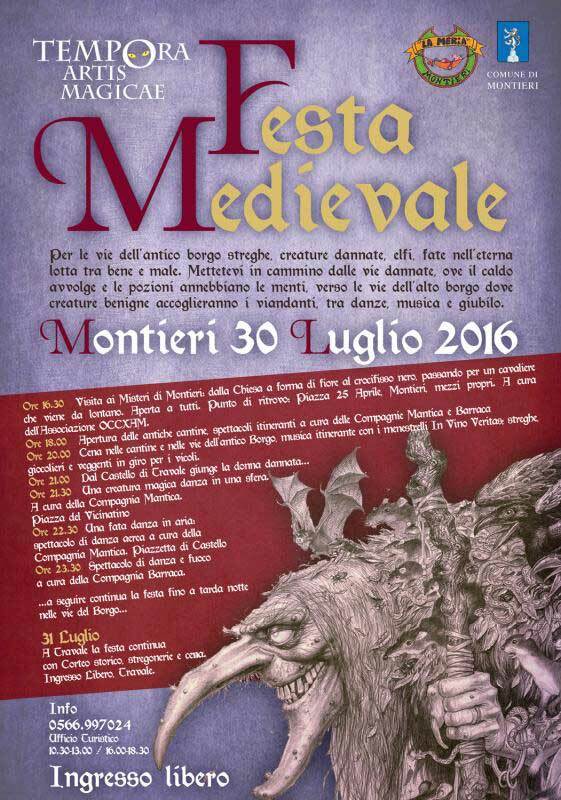 Village-sized medieval fest with re-enactments and entertainment in Laterina, Momigno, and Montieri. 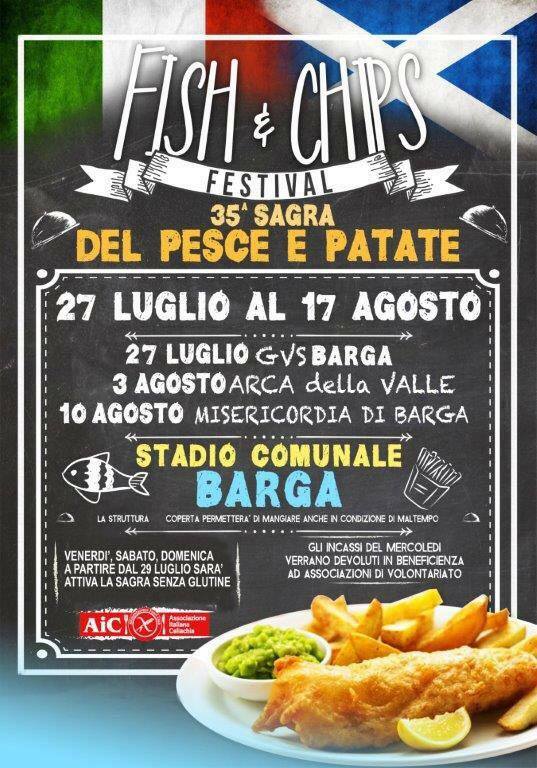 The biggest event of the Summer in Livorno is called Effetto Venezia (Venice Effect). This fun festival filled with music, culture, art and entertainment takes place right in the heart of the city in one of the most characteristic neighborhoods of Livorno: the quarter Venezia Nuova (New Venice). Events and activities featured during the festival include numerous performances from classical music, to gospel to Jazz, the Floating Garden, skateboarding, pump track, tree climbing, art exhibitions, beer tastings, street food, boat trip around the canals, circus and many activities for children. Read the complete article about Effetto Venezia for more information about the festival. The ties between Barga and Scotland go back to the 1890’s when the Duke of Argyll visited Tuscany and brought back a group of local forestry workers to labor on his estate back in Scotland. The ball started rolling and by the end of WWI, there were over 4,000 Italian families from the Garfagnana area living in Scotland. Estimates are that the number of Italian descendants living in Scotland today approaches 100,000. The most famous one is probably singer/songwriter Paolo Nutini. Besides Fish & Chips, you can also taste local specialties such as grilled meat, cold dishes, and desserts. On weekends, from July 29 onwards, the festival will also serve gluten-free foods. After dinner, the evening continues with live music and dancing. 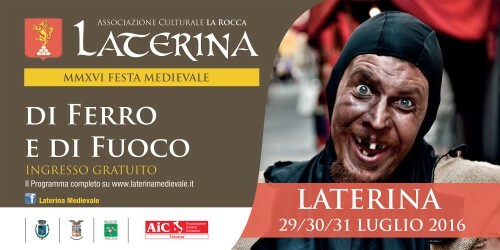 Arezzo Back in Time is the largest multi-ages historical event in Europe with over 1000 re-enactors in 55 historical groups and 120 shows in 10 different locations. Step into the time machine that will transport you back in time to three different periods of the history of Arezzo and its people. The Arena Cilnia (Roman Amphitheater) hosts about 20 Roman tents belonging to three different civilizations. The main characters are gladiators and legionaries from the Roman Republic and its contemporary people, the Etrurians and Gauls. Events include: Gladiator battles, ancient board games, battles, ceremonies, dancing and the Etruscan writing school. The Castrum Tarlati (Medici Fortress) hosts a military camp with more than 30 tents. In the camp, there is also a Joust and Tournament Area and the “Magic Circle” with jesters and fire-eaters. Events include: show with fire and clowns, heroic tales, musicians and dancers, sword tournament, chivalry joust, rough ball games, great battle, flag-wavers, and musicians. Piazza delle Arti (Piazza Vasari) hosts a large market area (both historical and artisanal). You will see a dashing reconstruction of an aristocratic palace with guard-house, armory, a noble convivium with a dress exhibition. Events include: Assault to the market, jesters, and dancers, weaponry craft, flag-wavers, and musicians. Furthermore, the streets of Arezzo will be filled with street artist and food originating from each period will be served. During the Festival you can visit original sites which are usually closed to tourists. 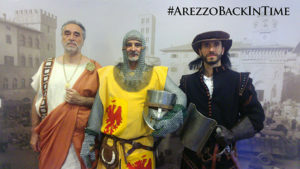 Read the complete article about Arezzo Back in Time for more information about the festival. The village of Laterina is getting ready for the yearly medieval festival that will bring it back to its roots. 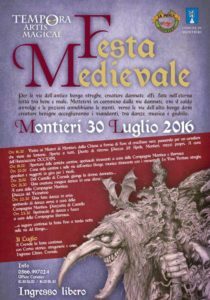 Three days of medieval re-enactments, sword fight demonstrations, falconry, fire juggling, music and street theater groups will fill the streets and squares of the historic center. Taverns, shops, and eateries will be open until late and also gluten-free foods will be on the menu. Friday, 29th July 2016: from 6:30 pm to 12:00 am. Saturday, 30th July 2016: from 6:00 pm to 12:00 am. Sunday, 31th July 2016: from 5:00 pm to 12:00 am. Shuttle Bus service available on Saturday and Sunday from 6:00 pm to Midnight. 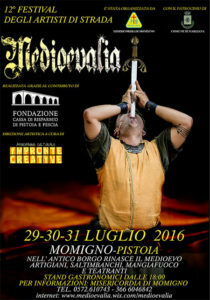 The village Momigno on the hills of Pistoia will host the colorful street artist festival for the 12th time this week. On the program performances of jugglers, acrobats, fortune tellers, fire eaters, street theater, fire shows, puppets, and music, offering entertainment for all ages. The food stalls start serving local dishes started at 6 pm. 4.30 pm | Visit the Mysteries of Montieri: from the flower-shaped church to the black crucifix and a rider that comes from afar. Open to all. MEETING POINT: Piazza April 25, Montieri. 8 pm | Dinner in the cellars and the streets of the ancient village, traveling music with the minstrels In Vino Veritas; witches, jugglers, and seers in the streets. 11.30 pm Dance and fire performance by the Barraca Company.